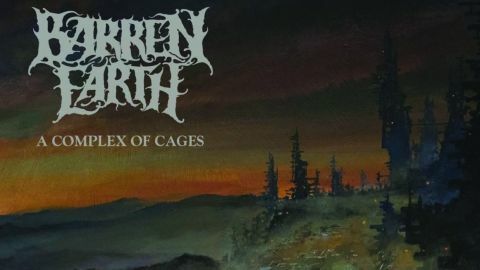 A meeting of minds from some of Finland’s most inventive metal bands, Barren Earth have steadily moved away from their progressive death roots and into more esoteric territory. The band’s core sound remains intact from 2015’s On Lonely Towers, but their fifth full-length feels more refined, the brutal moments serving as necessary punctuation, rather than sonic bedrock. New keyboardist Antti Myllinen has slotted in seamlessly, the buzz and throb of analogue organs bringing warmth to what are otherwise spiky and unpredictable songs. Faroese vocalist Jón Aldará puts in a bravura performance too, most notably on the 10-minute Solitude Pith. A claustrophobic fever dream with swivel-eyed psychedelic overtones and a bombastic chorus, its mid-section sounds like Red-era Crimson playing Kashmir in space, before morphing into an imperious groove worthy of Opeth. The album ends with the folk-tinged, glassy serenity of Withdrawal, a masterclass in melodrama driven by Aldará’s howls of anguish. It’s another indication that Barren Earth’s future lies deep in prog’s mesmerising mire, and that Finnish metal’s adventurous instincts are alive and well.